Books are personal. You can make notes in the margin, fold the pages, get them signed by the author and then there's that book smell... nothing beats it. I work in a library with books all day, buy records and write letters. I'm pretty traditional and only recently got a smart phone so I wasn't sure if a Kindle was going to be for me. 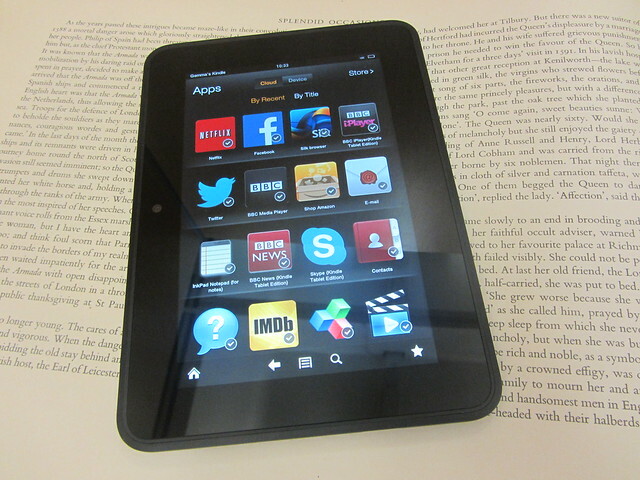 I was rather surprised when my Kindle Fire HD arrived. Not only could read on it, I could also watch TV on it and use social media apps. 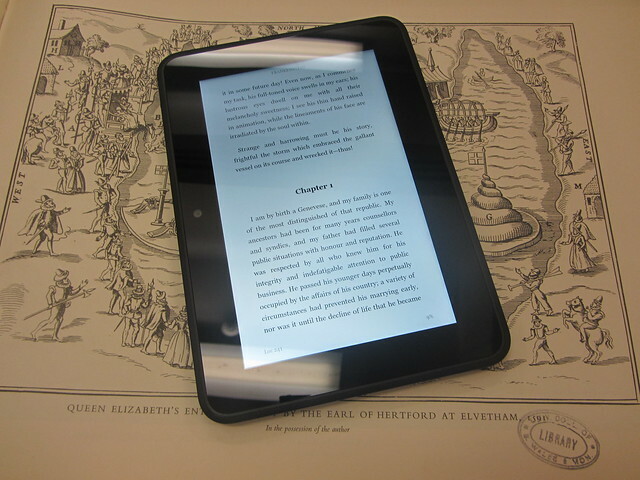 It's far more than just a reader and I have been using this tablet on my commute and trips away for the past two weeks now and I have to admit, I'm a bit smitten. My 40 minute train journey to work in the morning has flown by and I read three books in a week which is more than I read for the whole of last month. 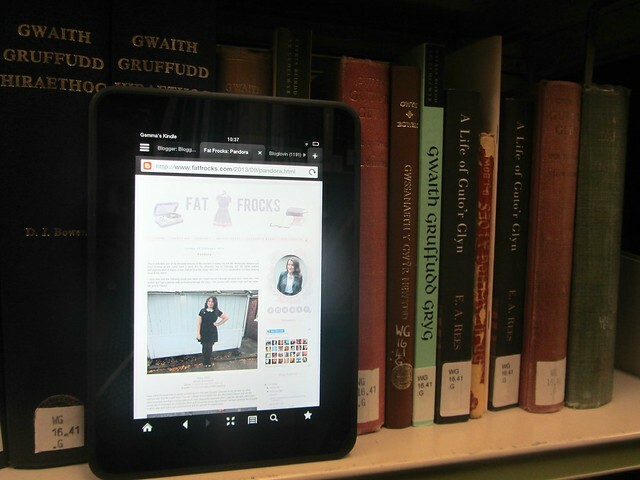 The Kindle also came in handy on the weekend when I popped to Birmingham to hang out with some blogger pals. Normally the prospect of a two hour journey fills me with dread but I read (a rather uncool John Green) book there and back which certainly helped me to relax and not focus on the screaming children on my carriage and someone talking loudly on their phone. I find the screen easy to read from and the device has a battery life of up to 10 hours depending on usage which is more than enough for a weekend away. As much as I love reading it's the apps that have made me fall in love with the Kindle. I can sit on my sofa at night and catch up on blog reading, reply to emails and tweet along to the Great British Bake Off without a laptop weighing me down. I can now reply to emails and catch up with blogging on my lunch break and I've even managed to catch up on some TV using the iPlayer app. The only drawback I can find with this device is that you can't access all the apps like you can with an android device so I can't use WhatsApp or SnapChat but I have those on my phone so it isn't a huge issue. This is a great device for the price, iPad's are over double the price and only have a few extra features. This would make a good introduction to the world of tablets for someone who isn't very techy. The Kindle Fire HD has all the right qualities: a bright 7 inch screen, a usb port, it's nice and light at under 400g and has built in speakers and a camera for all your gaming, video and Skype needs. I'm still not totally sure what all the features are on the Kindle and what apps I should get, do you have any top tips for me? I never really thought I'd like these kind of things either, I have an iPad rather than a Kindle Fire but I'm surprised what you can do with it; they're so handy and I've downloaded the Kindle App so I have the best of both worlds!